There’s zero slippage on the easyMarkets web platform meaning your Crypto trades will be executed at the price you see on your screen. Extend your trading week and manage risk with the ability to close Crypto positions over the weekend if you need or want to. Trade Bitcoin with zero spreads, no margin requirements, known and predefined risk. 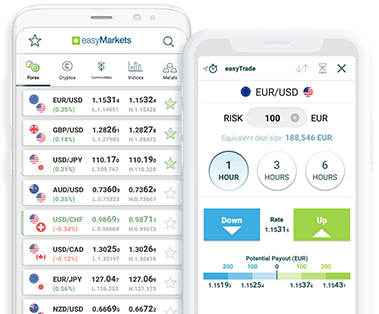 An exclusive way to trade by easyMarkets. Source: MT4i Spread Monitor. As shown in the MT4 terminal of the respective broker and easyMarkets fixed spreads.